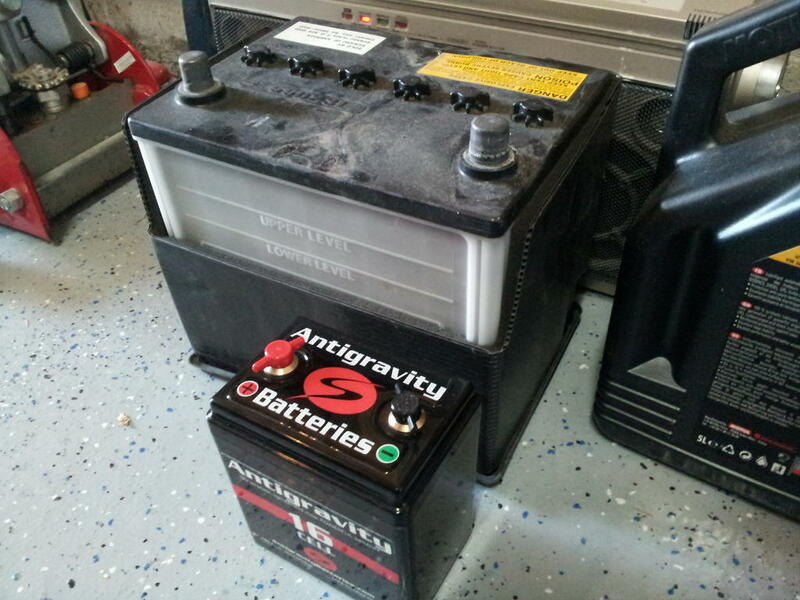 Installed my Antigravity 16-Cell battery after work today. It weighs 3.2 lbs vs. the stock 30+ lb battery. This thing is tiny but packs a punch! 480 CCA vs. the 500-600 CCA of the OEM battery at a fraction of the weight. The battery is so tiny that I had to use some foam risers underneath the battery, flip the mounting bracket upside down, and add a rally blue yoga block to stabilize everything. Dropping 27 lbs off the front left corner should definitely help reduce understeer at the track. 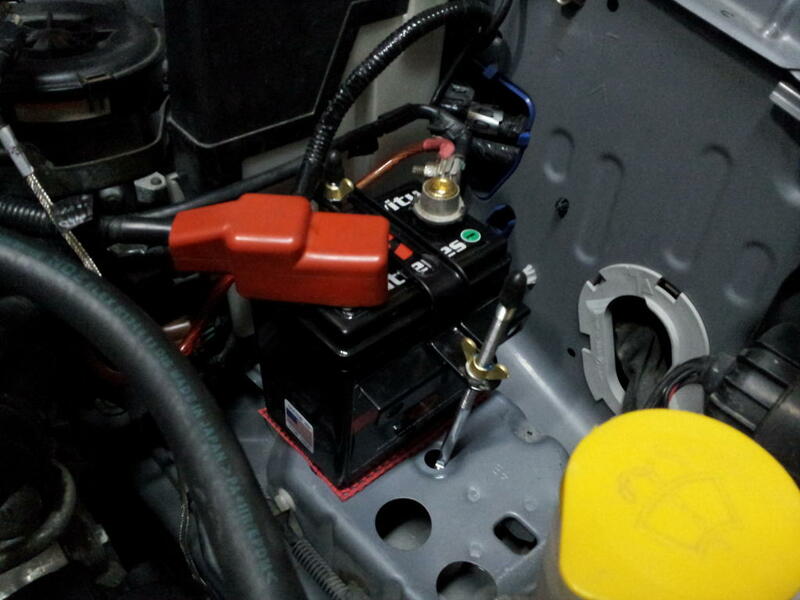 After installing the battery my car fired up instantly without any hesitation. So far so good. I just hope my yoga block mod can take the heat Anyone who has ever felt a yoga block before knows the foam is really hard, but you never know. I'll have to keep an eye on it.